The Banker and PWM (Professional Wealth Management) again named SEB best private bank in Sweden and the Baltic countries at the Global Private Banking Awards event on November 4 in Singapore. "It's fantastic that we once again receive this internationally recognized award. Doing it again this year is evidence that we successfully convey our strong offering to the customers. How customers perceive us is the most important thing and we are continuously working to improve our customer experience," says Martin Gärtner, Global Head of Private Banking. 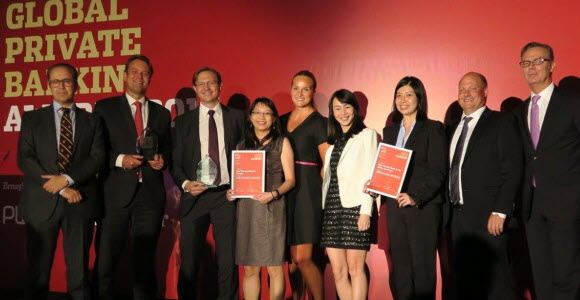 At the award ceremony SEB was represented by Fredrik Lager, head of SEB's Singapore Private Banking unit, and other SEB staff from the office in Singapore.